Processes in the Oil and Gas industry are often carried out in the harshest, most remote environments on Earth. In order to supply equipment in to the Oil and Gas industry, companies need to have stringent quality assurance controls in place, as a result of this only the highest performance most reliable manufacturing equipment is acceptable. NIKKEN are world leaders in high precision NC Tooling, Rotary Tables, Presetters, Angle Heads and Spindle Optimisation solutions for the Oil and Gas Industry. High Value Manufacturers to the Upstream and Downstream Oil and Gas Industry trust NIKKEN products when producing precision components for use in arduous applications. Where millions of dollars are potentially at risk from process interruptions it is not worth trusting the integrity of finished products to anyone other than NIKKEN. Case History 1019 - Techman Engineering Ltd.
Techman Engineering Limited have historically used NIKKEN tool holders, so when they were given to opportunity to purchase some equivalent tooling offering to be of equal performance at a lower cost they decided to take up the offer. 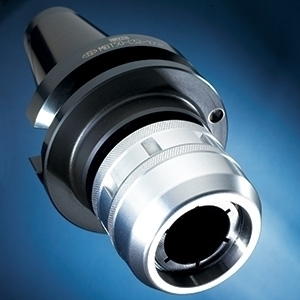 Initially the performance provided by the alternative tool holders was good, however, after less than a year in service there were tell-tale performance issues in comparison to NIKKEN tooling, this being reduction of cutting tool life and increased tool run out.